Don Draper’s top secret car from Chevy may not be the savior SCDP and CGC need. We recommend saving the whiskey celebration for a later date, boys. Last week, Don Draper (Jon Hamm) and the gang (unbeknownst to them) reached a major milestone: They landed an American automaker as a client. Granted, they had to cut Jaguar and partner up with CGC to make it happen. They’ve got a new, massive account, though, and things are finally looking up for SCDP (though now it will probably be SCDCGC). They don’t have every Chevy, but they do have Chevy’s brand-new, top-secret car (currently being referred to as “XP-887”). A little investigating quickly illuminated to everyone that the car in question was Chevy’s Vega. The Vega was, at first, a must-have vehicle. It did well for Chevy, so it’ll do well for Draper and the crew. Being responsible for the Vega will earn them plenty of serious business with larger accounts. There’s just one problem: Soon enough, that shiny new car turned into a squished lemon. The Vega was plagued with six separate recalls during the 1970s. Chevy overcame its flub, but will our admen? Before we lose sleep over the car, we have to get through the ad campaign development process and the first few months of initial success. Helping us gain the full visual of what Don and Ted dreamed up for the impending Vega, the guys over at CantMiss.tv actually put together what might have been the pitch that sold SCDCGC to Chevy. They did a little tweaking to an original Vega ad (public domain, of course). Then they photoshopped in the cast (including Stan Rizzo in the driver’s seat) and changed the copy to fit what the guys pitched and… well, the outcome was downright brillant! Images via CC BY-SA 3.0 & CC BY 2.0. Additional data from Wikipedia and DirectSpecialTV. 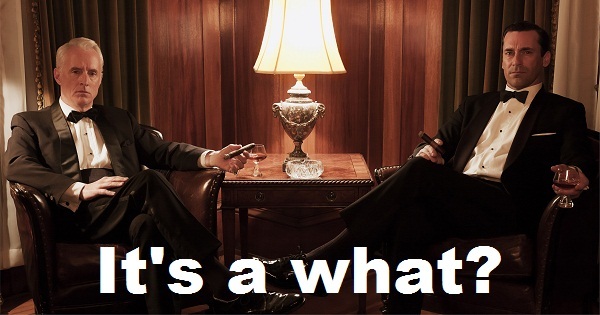 CMT loves Mad Men. Will the Vega save SCDCGC or be their ultimate demise? If you have ’em, feel free to share your Vega stories, too!